Yeti brand coolers, koozies and tumblers have taken the world by storm over the last few years to the point where it seems like everyone and their mother has one. Every BBQ, picnic, and family party I’ve been to over the last couple years has included at least one Yeti product, which is kind of amazing considering I had never heard of them until a couple years ago. If you’re unfamiliar with Yeti products, they are basically products designed to keep your beverages cold, or hot in some cases. 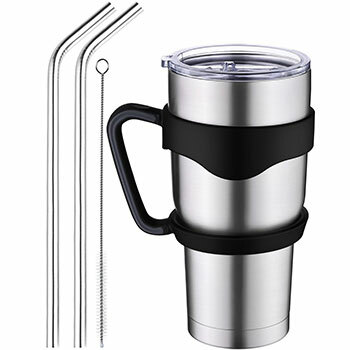 The products range from large and small coolers for keeping food, soda, beer, and whatever else, cold for long periods of time, as well as koozies for keeping individual cans and bottles cold, and then finally, tumblers for keeping liquids hot or cold. The secret to their cold keeping power is the fact that the products are all double-wall insulated. In the most basic terms, this means that there is an outer wall, which you see on the outside, and then an inner wall, which is what you see when you open it up. These two walls in the stainless steel koozies are separated by a ‘pocket’ of air (or maybe gas, I don’t know), that keeps them apart and allows the inner area to retain temperature more efficiently. The coolers are separated by Permafrost insulation that will definitely keep the temperature cold on the inside. 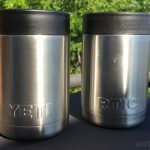 The problem that Yeti has encountered over the last year or so, is the amount of competitors that have sprung up and basically copied their idea and undercut the price. 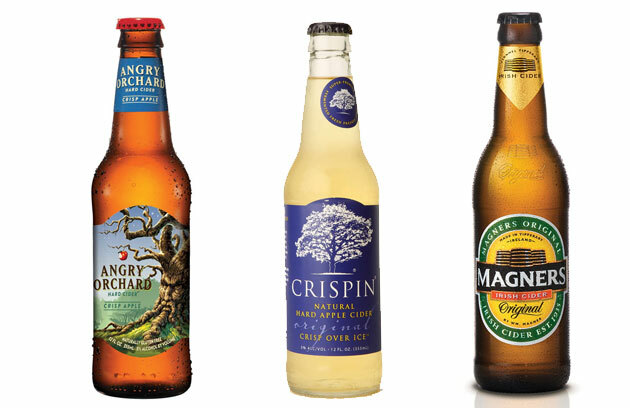 Some of these competitors, actually a lot of them, are basically releasing almost the exact same product, just stamped with a different name. RTIC is probably the most prevalent one that you’ve seen around, but there are lots of them out there like Orca, Siberian, K2 and Grizzly, just to name a few. There are so many competitors out there it’s almost impossible to list them all, but I’m going to give you a good rundown of other cooler, tumbler and koozie brands that you can pick up, outside of Yeti, that will do just as good of a job, for less cost. Now don’t get me wrong, I love my Yeti Tumbler, I use it for water at my desk every day, but when it comes to koozies, I have RTIC brand koozies because they were half the cost and in the Yeti vs. RTIC test we did, they performed exactly the same over time. When it comes to the Yeti Coolers, there are a lot of brands out there with the same idea, and even very similar looks and styles. And Yeti might not have been the first to do it either, I’m honestly not 100% sure, but I have to imagine that brands like Coleman, that have been around for years, were doing this way before Yeti even broke on the scene. But either way, Yeti has done a phenomenal job with their marketing and has built up a huge name for themselves, which obviously comes with knock-offs and copycats. So lets take a look at the competition when it comes to double-wall insulated coolers. 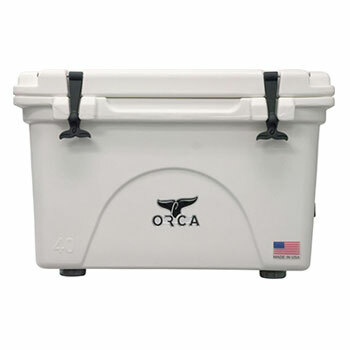 The Orca Cooler looks almost identical to the Yeti Cooler, with this 40-quart model. Like the Yeti, it’s designed to keep items stored within it, cool and fresh for up to 10 days. It’s even designed very similarly to the Yeti Cooler. It comes in a variety of colors, if that’s your thing, and the best part is, it’s cheaper than the Yeti. 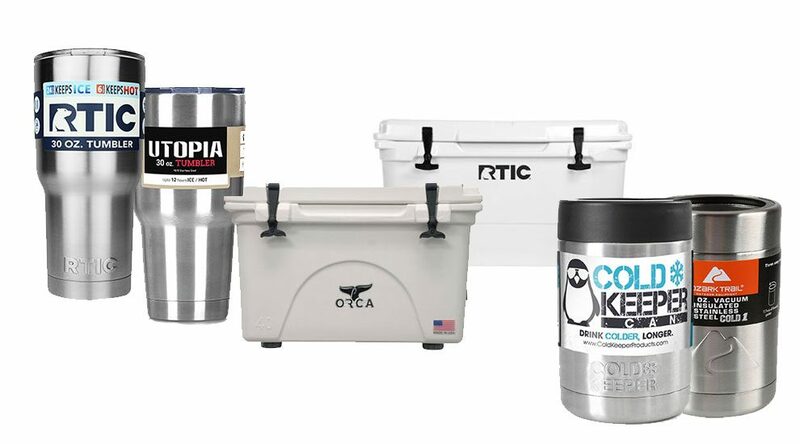 While the 45-Quart Yeti comes in at between $300 and $350 ( and the 35-quart between $250 and $299), the Orca usually beats the 45-quart model by almost $100! That’s a significant savings in our book, especially when the Orca Cooler performs just as well as the Yeti. You didn’t think we were going to mention competitors and not mention RTIC did you? 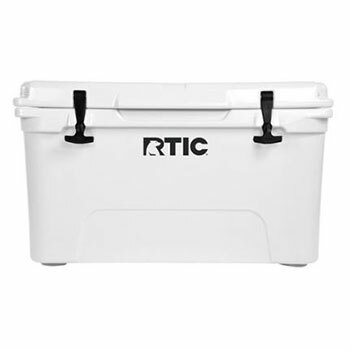 Probably the highest profile direct competitor to the Yeti brand, RTIC is definitely a solid choice when looking to save a few bucks over the competition. As I mentioned above, I chose RTIC over Yeti for my koozies, and I would probably do the same when it comes to coolers as well. 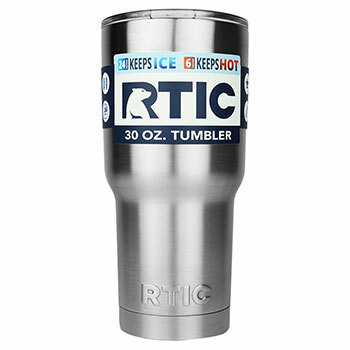 While I didn’t do a direct comparison like I did for the koozies, I imagine that RTIC retains temperature just as well as Yeti in any condition. 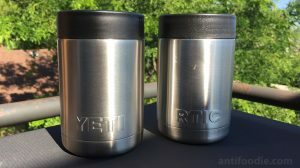 The 45-quart RTIC usually comes in about $100 cheaper than the Yeti 45-quart does, and they look almost identical. If we had to choose a cooler, this would be our buy. 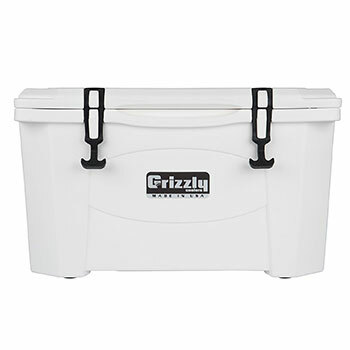 The cheapest competitor on our list today is the Grizzly Cooler, coming in at about $125 less than the Yeti for a 40-quart version. Yes, you do lose 5-quarts over the Yeti, but for a savings this big, I think it’s something you should take into consideration. 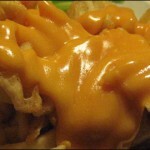 40-quarters can hold 56 12 oz. cans of beer (or soda), that’s quite a few beers… It’s also double-wall insulated, bear proof, and easy to clean, just like all of the rest of the coolers. I would take a hard look at the Grizzly Coolers if you’re considering buying one of these. It might not have the brand recognition, but it’ll get the job done. In addition to coolers, there are also koozies which will keep your cans and bottles cold on those hot summer days. These are perfect for backyard bbq’s, picnics, and family parties… really anywhere that will keep you outside in the heat for long periods of time. Again, Yeti has a lot of competition in this space, and there are a lot of cheaper, just as capable, alternative options out there for you to choose from when it comes to Koozies. 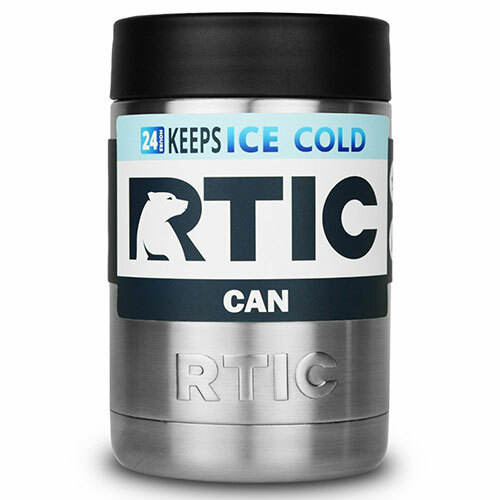 This would naturally be our number 1 suggestion had RTIC not stopped selling their can coolers. We’re not 100% sure why they stopped the sale of them, but we imagine it has something to do with the lawsuit between Yeti and RTIC. Unfortunately this means that you’re going to have to look elsewhere if you want to undercut the price of the Yeti. We’ll keep you posted on when, or if, RTIC starts selling the can coolers again, but there are definitely other options out there for the time being. When you first look at the Hommit Can Cooler you’ll immediately notice a familiar look… yup, they too just jacked the Yeti design and rebranded it. The only difference here is that they haven’t stamped their name on the front of the koozie. Maybe that’s how they are able to set themselves apart and not get sued by Yeti. Either way though, since it’s made of the same double-walled stainless steel design as the Yeti, we’re sure that it will perform just as well as the Yeti. Especially since we’ve already tested similar designs against it. Noticing a pattern here? Pretty much all of the alternative Yeti’s that we’re going to be recommending, in regards to the can coolers, are going to have a very similar look and construction. Yeti has proven that it is an effective way to keep cans and bottles cold for long periods of time, so why stray from something that works. 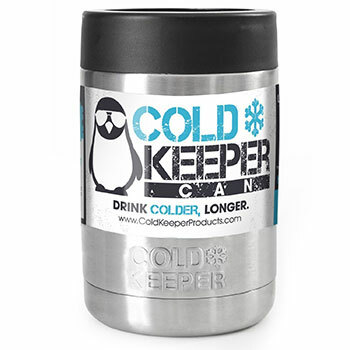 Cold Keeper again, provides exactly the same look and feel as it’s competitors, so we’re sure it it will be just as effective, but what Cold Keeper offers that the other alternatives don’t is a “tall boy” option, which has the ability to keep your 16 oz. beer cans cold. Another blatant knock-off of the Yeti can cooler down to almost the very last detail. 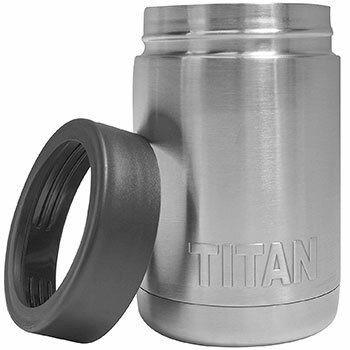 Everything about the Titan Koozie screams knock-off, but for the price of usually between $8 and $12, you can’t go wrong here. We have heard some people complain about the rubber ring on the top not easily fitting snug over a 12 oz can, but we had no issues with the one we tried. You’re definitely going to get what you pay for here, so don’t expect the exact quality of a Yeti, but for a fraction of the price, there’s no room to complain. Ah, this is refreshing, a stainless steel, double-wall insulated, can koozie, that doesn’t look exactly like all of the other ones. 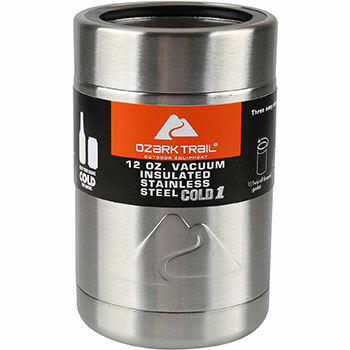 The Ozark Trail can cooler boasts a stainless steel ring top instead of the normal hard rubber one that we normally see on these. We haven’t tried this one out personally, but based on some reviews we’ve read, some people have trouble fitting bottles into it… one person had an issue with screwing the lid on with a can inside, but I think it’s still a safe bet if you’re looking to keep a can cold. In addition to coolers and can coolers, Yeti also offers a line of tumblers, called Rambler, that you can actually fill with liquid and keep cool (or hot). 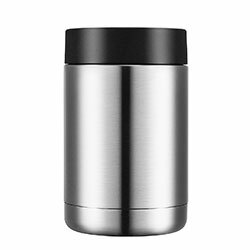 This is great for coffee, ice water, cocktails, and even draft beer if you prefer that over a can or bottle. Whatever your beverage of choice is, you can pour the liquid directly into one of these tumblers and ensure that it will maintain its temperature. I personally use a 20 oz. tumbler every day while drinking water at my desk, but I’ve definitely used it to drink wine, so it can absolutely be used for whatever liquid you deem fit, don’t just limit it to what I have listed here. And just like above, there are plenty of competitors out there that perform just as well as the Yeti, all while saving you money. So don’t be afraid to shop around and pick up one of these other brands, I promise they will keep your liquid cold just as long as a Yeti will… And if for some reason the liquid in your tumbler gets too warm before you can finish it, you probably should have been drinking it faster to begin with. You knew this one was going to be on the list so why not mention it first and then move on to the rest. Although, this is still our favorite Yeti alternative when it comes to tumblers. 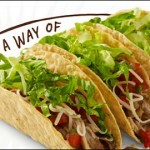 RTIC offers both a 20 oz. and a 30 oz. tumbler so you have options when it comes to how much liquid you need to keep cold. I personally am fine with the 20 oz., but I know a lot of people that prefer the 30 oz. 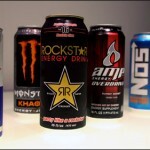 Now, unlike with the can coolers, you will notice a slight difference when it comes to the 20 oz. tumblers from RTIC and Yeti. Yeti’s 20 oz. model is a smooth, straight cylinder all the way down, with only a very slight taper, where as RTIC’s 20 oz. tumbler resembles more of the design you see in the 30 oz. Yeti, with the more drastic taper in to a smaller bottom. This is to ensure that it fits properly in all cup holders in places like your car. The RTIC also has a ‘pop top’ to prevent spillage if you’re handling it less than gently. In the newest Yeti Ramblers they offer a new MagSlide Lid that slides over the hole to prevent spilling. Honestly though, whichever one you choose is going to do the job it’s set out to do. 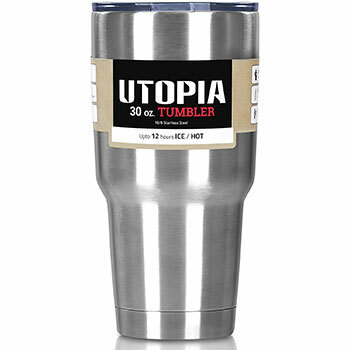 The Utopia Tumbler is more of a direct knock-off of the Yeti than the RTIC above is, in the fact that the 20 oz. Utopia Tumbler has the exact same shape as the Yeti. The double-walled stainless steel design, as well as the plastic top are also pretty much identical. 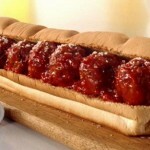 For the price though, we definitely think this might be worth a shot. As long as you’re not worried about having that Yeti name, for a fraction of the cost, the Utopia Tumbler will most likely keep your iced drinks just as cold and your hot drinks just as hot. If you didn’t see the name on the side, you would have no clue that this isn’t a Yeti. 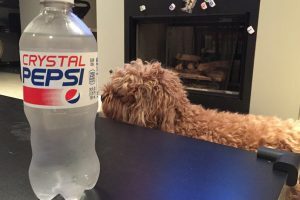 Homitt makes another appearance in this post due to the fact that you can get a 30 oz. tumbler, plus 2 metal straws, and a plastic handle, for less than what most of these other tumblers cost. And it’s still the same double-wall insulated, stainless steel design that all the other tumblers on this list have. The only reason we wouldn’t put this above the other ones on this list is because they currently only offer a 30 oz. version. So if you’re looking for the 20 oz. version, you’ll have to look into one of the other brands above, but if you want a monster 30 oz. version, then we would recommend at least considering the Homitt tumbler. So that’s it folks, if you’re looking to save a little money and purchase a Yeti competitor cooler, can cooler, or tumbler, then these are the brands we would suggest. 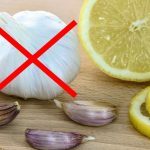 There are tons of other knock-off brands out there that you can find on amazon, and I’m sure they work just as well, we just don’t have the time to go through all of the smaller brand names to figure it out. So if you have one that works just as well as a Yeti, let us know in the comments. With that being said, I would stay away from the Thermos brand can insulators… they are basically garbage and not worth whatever the price is. And if you’re looking for insulated glasses that aren’t made of stainless steel, and instead made of glass, check out our review of the Bodum double-wall insulated glasses. 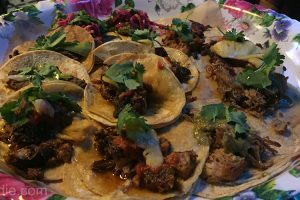 Revive Kombucha – What is Kombucha?